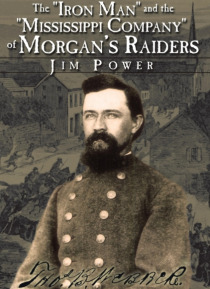 The story ofa MS. cavalry compnay that becamr part of John Hunt Morgan's 2nd Ky. Cavalry. While the leader appeared to be a sickly misfit in his previous army service, due to his health his men had to help him mount his horse at the start ofthe "e;Great Raid"e; into Indiana & Ohio where most of the men were captured., but not before they began to call him the "e;Iron Man. "e; After … prison, he and many of thecompany escorted Jefferson Davis as he attempted to escape. The concluding chapter tells of the men and their return to a difficult life where many died very early. Considerable non-published and out of print material is included.